Like many of you, I purchased OS X Lion to upgrade from Snow Leopard. What many didn't know after downloading their fresh copy of OS X Lion via the Mac App Store was that after you've finished installing OS X Lion, the installation file (.dmg) automatically deletes itself from your hard drive so you can no longer access it to quickly re-install and save it on an external storage like a DVD or even a USB flash drive for a clean install, or just for safe keeping. Apple is said to start offering a hard copy of OS X Lion on a USB flash drive for $69, but that's not what we're here for. If you want a hard copy of your $30 OS X Lion you just downloaded, here's a quick and easy way to re-download OS X Lion straight from the Mac App Store. 2. Hold down the "option" key on your keyboard, while still holding, click your "Purchases" tab. 3. You should now be able to click "Install" next to OS X Lion. You will be asked to type in your Apple ID account information, and the downloading will start. You will not be charged again since you already purchased OS X Lion. After OS X Lion has finished downloading, do not install it and exit the installation window. Now you'll be able to burn a copy of the Lion Installer which should now be located in your Applications folder. To access the bootable file inside the Lion Installer you would need to right click it, and select "show package contents". Then, go to the "SharedSupport" folder and there you will have the final file that you would need to burn called "InstallESD.dmg" with Disk Utility. Hopefully this method will help you until Apple finds out about this backdoor. 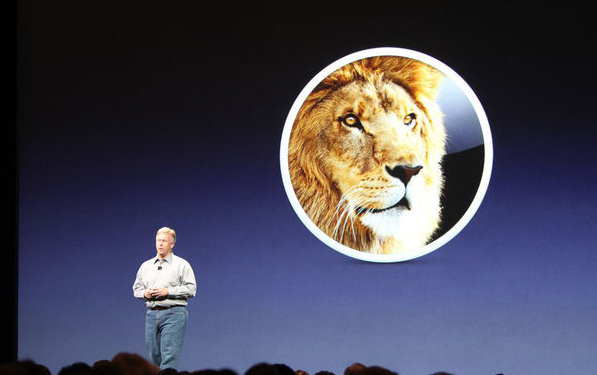 At WWDC 2011, Apple has announced today that Mac OSX 10.7 Lion will go on sale in July for $29.99. It will be bought in the Mac App Store, no more boxes/cd. The download will only 4GB which won't be bad, and will be able to install on 5 of your auth'ed computers. Developer preview will be available today after the keynote. The Mac App Store is getting pumped with many apps each day since it's launch. Aspyr's Call of Duty 4: Modern Warfare is one of the first major games to hit the Mac App Store and offers all the online multiplayer and single campaign awesomeness you can handle for $49.99. This is one big file to download at 6.85GB, with Apple's fast servers it shouldn't take you too long to download though. Get your game on. Apple released today an update for all Macs, 10.6.6 which brings the Mac App Store to everyone who owns a Mac running Snow Leopard. The store launched with over 1,000 apps available for download with many familiar apps you've come to know from using iOS devices. The Mac App Store works just like the App Store in iOS devices and uses your iTunes account to purchase and download apps. Apps install in the same way as they do on iOS devices, quickly and without additional steps on your part. An icon pops up in your dock when your purchase or download a free app and installs itself automatically. Updates are done thru the Mac App Store which will notify your if your app/s are in need of an update. You can start off buy downloading some free apps that are now available. Go ahead, update if you haven't already! Apple has announced that it's Mac app store will be available for download on January 6th next year. This is Apple's desktop version of the already incredibly popular iPhone and iPad app stores. But everyone still running 10.5 needs to upgrade to 10.6 to take advantage of the Mac App store as it only runs on Snow Leopard. Apple is planning on launching it around the world in 90 countries and will include free and paid apps of a wide range of apps for Apple's computer OS from developers all around the world. However Apple is not taking submissions of apps that are trials, demos, or betas, you will have to go to the developer's website to get these, but if you are a developer, I would suggest getting yours in there to get better exposure as it will probably be as big of a hit with developers and consumers alike as the iPhone and iPad app store. CUPERTINO, California-December 16, 2010-Apple® today announced that the Mac® App Store℠ will open for business on Thursday, January 6. By bringing the revolutionary App Store experience to Mac OS® X, the Mac App Store makes discovering, installing and updating Mac apps easier than ever. The Mac App Store will be available in 90 countries at launch and will feature paid and free apps in categories like Education, Games, Graphics & Design, Lifestyle, Productivity and Utilities. "The App Store revolutionized mobile apps," said Steve Jobs, Apple's CEO. 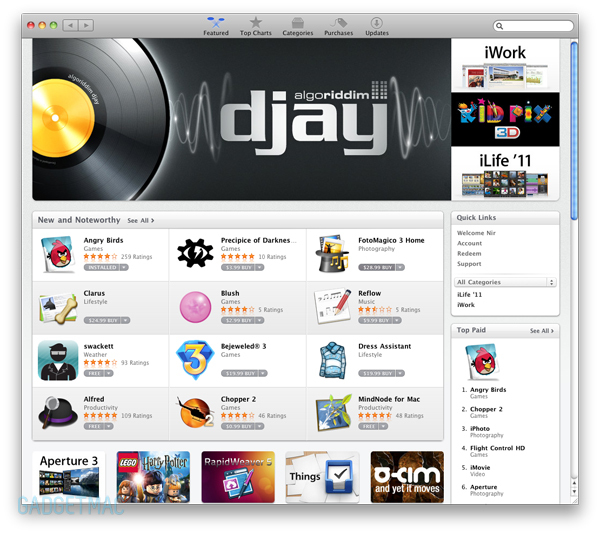 "We hope to do the same for PC apps with the Mac App Store by making finding and buying PC apps easy and fun. We can't wait to get started on January 6." The Mac App Store lets you browse new and noteworthy apps, find out what's hot, view staff favorites, search categories and read customer ratings and reviews. Like on iPhone®, iPod touch® and iPad™, you can purchase, download and install apps in just one click and start using them immediately. Purchased apps can run on all of your personal Macs and updates are delivered directly through the Mac App Store so it's easy to keep all of your apps up to date. The Mac App Store is available to Mac OS X Snow Leopard® users as a free download through Software Update. Mac developers set the price for their apps, keep 70 percent of the sales revenue, are not charged for free apps and do not have to pay hosting, marketing or credit card fees. To find out more about developing for the Mac App Store visit developer.apple.com/programs/mac. Soon after Apple announced the new upcoming Lion OS and a sneak peak at a few features including the new Mac App Store, Firemint the creators of Flight Control have already announced to be one of the first games to be ready for the official release of the Mac App Store which will be available in less than three months for Snow Leopard users. The above image is an actual screenshot of Flight Control for Mac that was released by Firemint. Flight Control is also available for the iPhone and iPad.